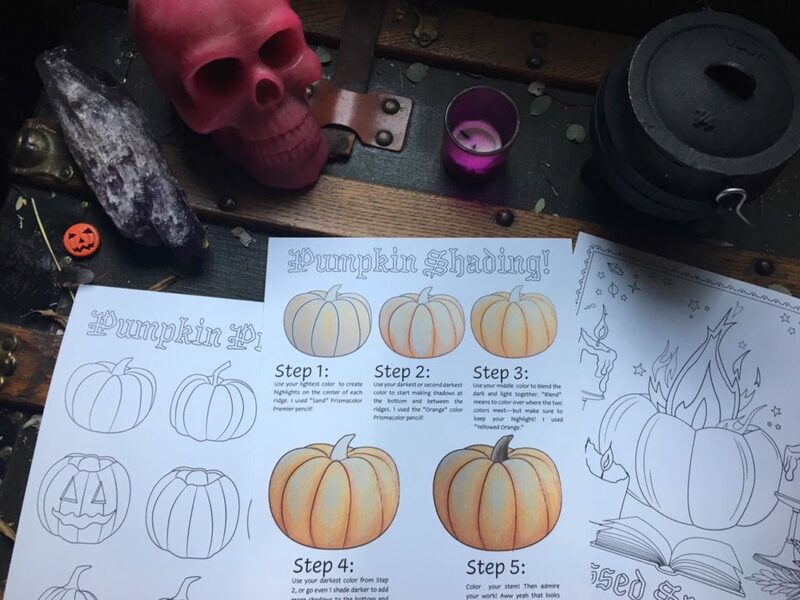 Blog How to Color a Pumpkin & Fun Practice Sheets! Hi! 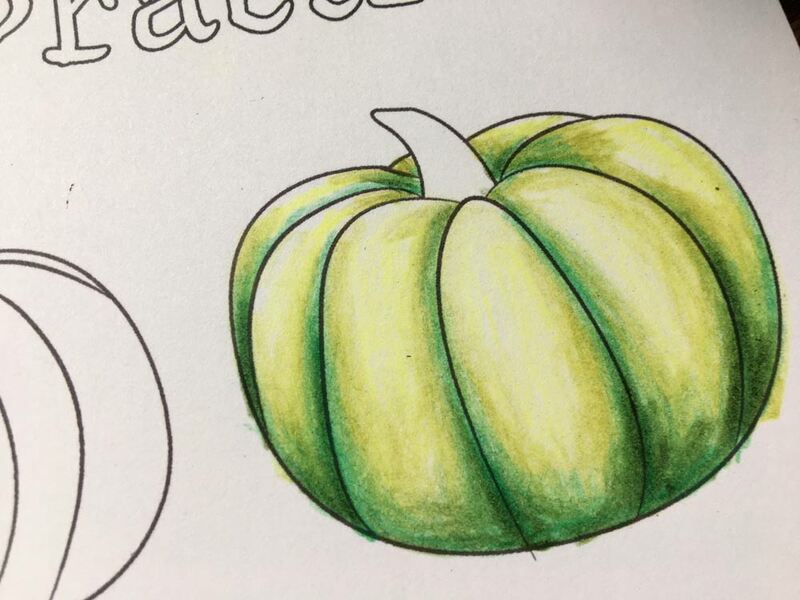 I wanted to share this example of how to color pumpkins because I think it’s a sneaky way to learn a little bit about shading while keeping it fun and simple. 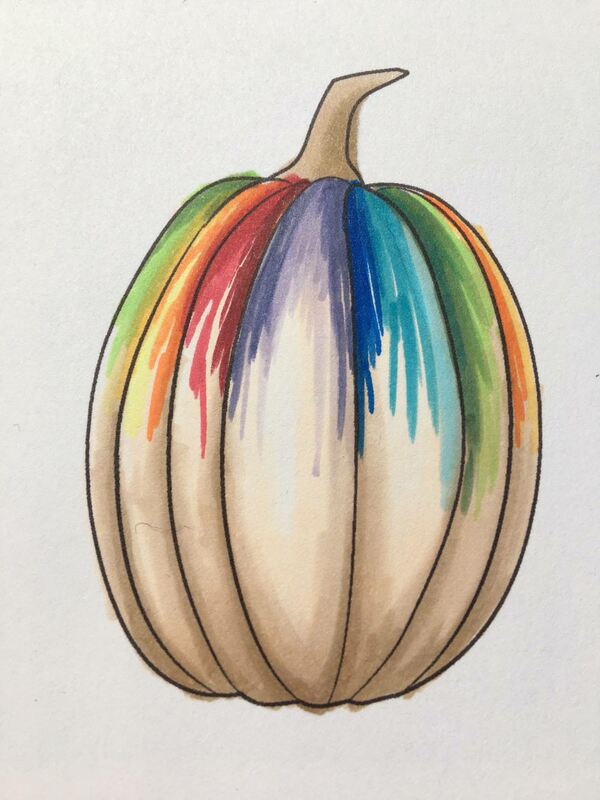 And, I’ve been super obsessed with coloring pumpkins this week, so I thought you might also want to give it a try. Be warned… once you start, it’s hard to stop! 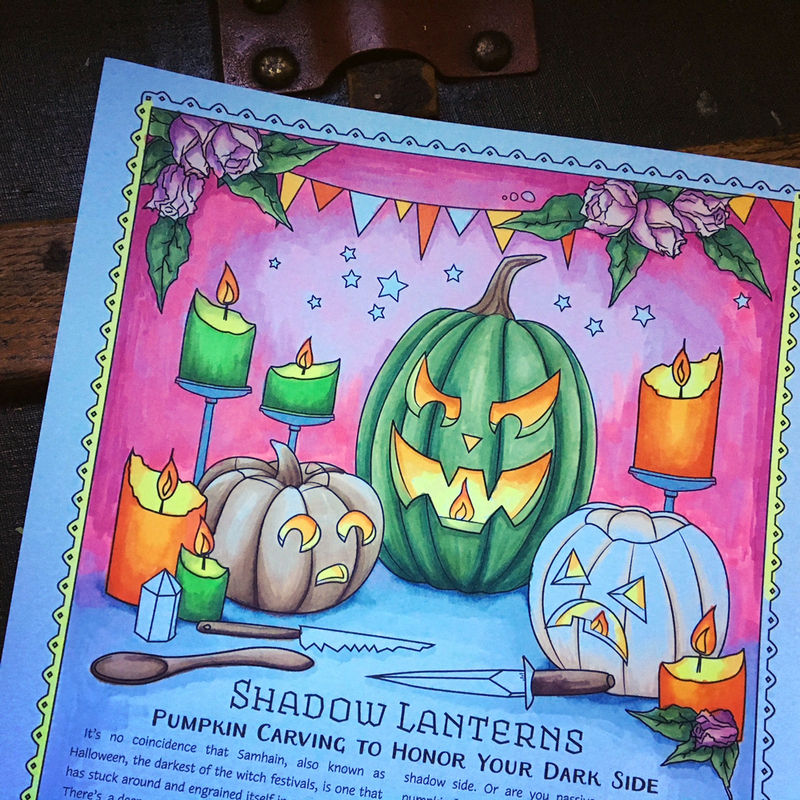 So, download the PDF example and pumpkin practice sheets here, and watch the (recorded live!) 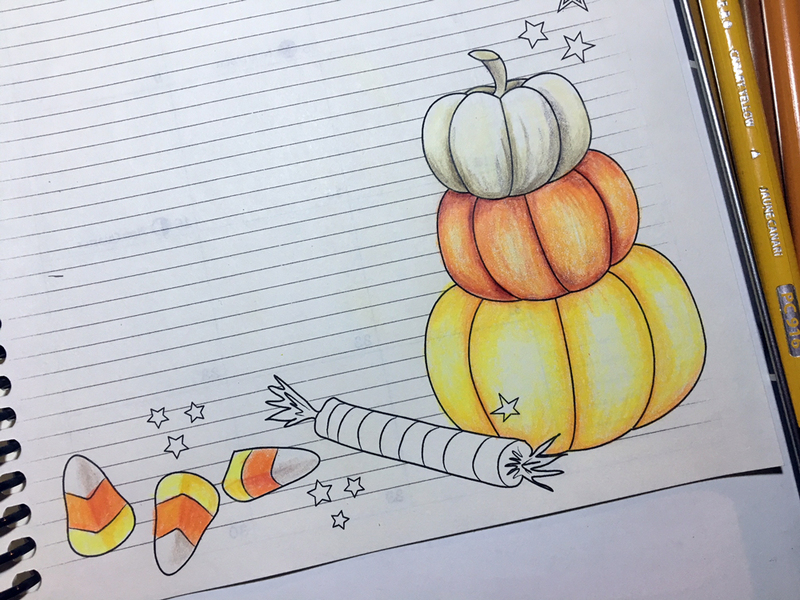 video of me coloring and goofing off as I attempt to explain how I color a pumpkin with colored pencils… posted below. 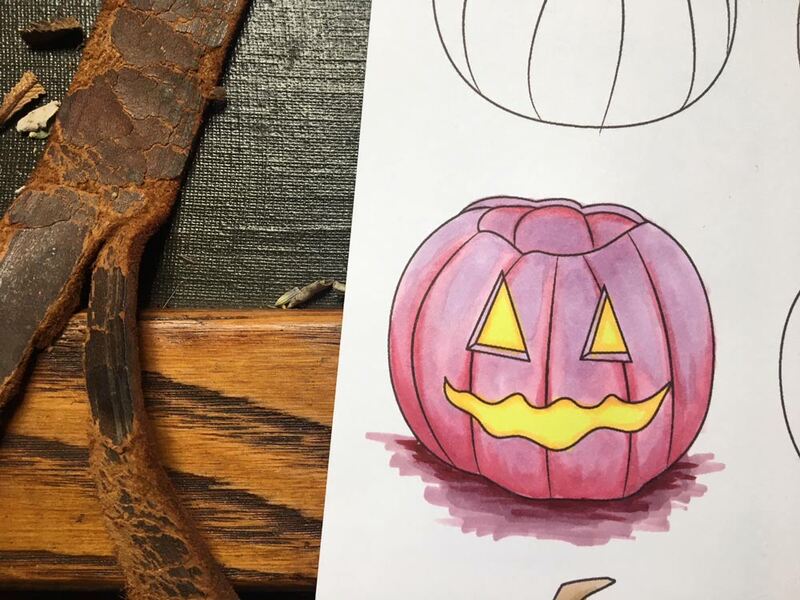 I’ve also posted pictures of some of the pumpkins I’ve colored, so scroll down a bit beyond the video if you want to check them out. 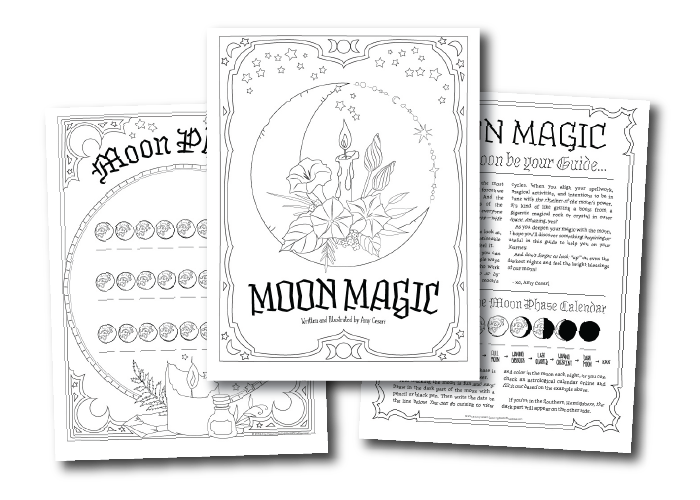 Also, feel free to join the Facebook Group and share what you’ve colored, or post it on Instagram #coloringbookofshadows! 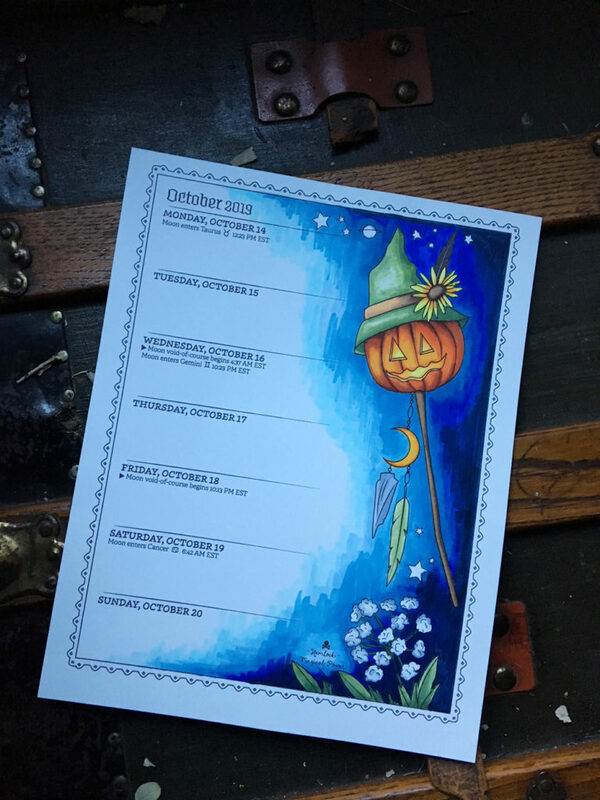 If you’re on my email list, you’ll also receive this year’s exclusive (don’t miss it! Eep!) 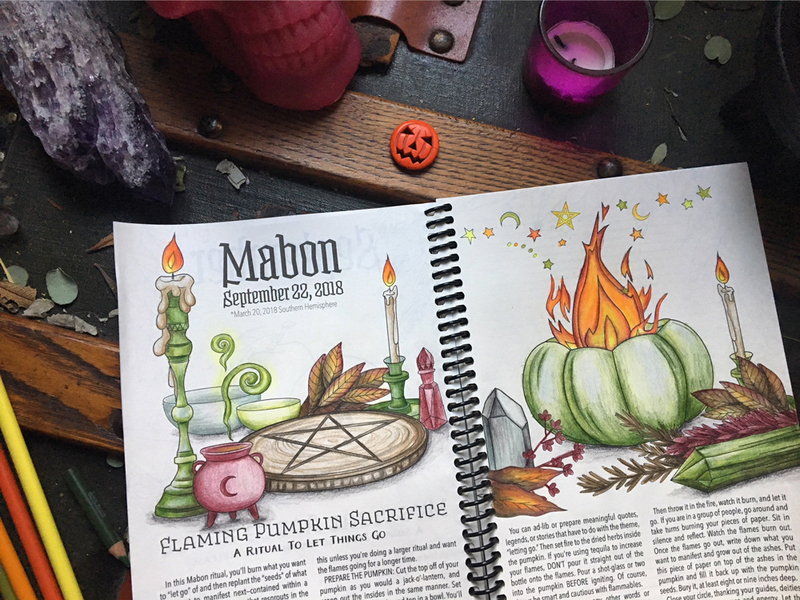 Samhain coloring page (pictured above on the right) and I’ll also post this page in the FB group for about three weeks. Then I’ll be taking it down from the group November 1, 2018, and locking it up in the vault! Ha! So make sure to get it, and if you missed it, sign up now so you don’t miss next year’s page. 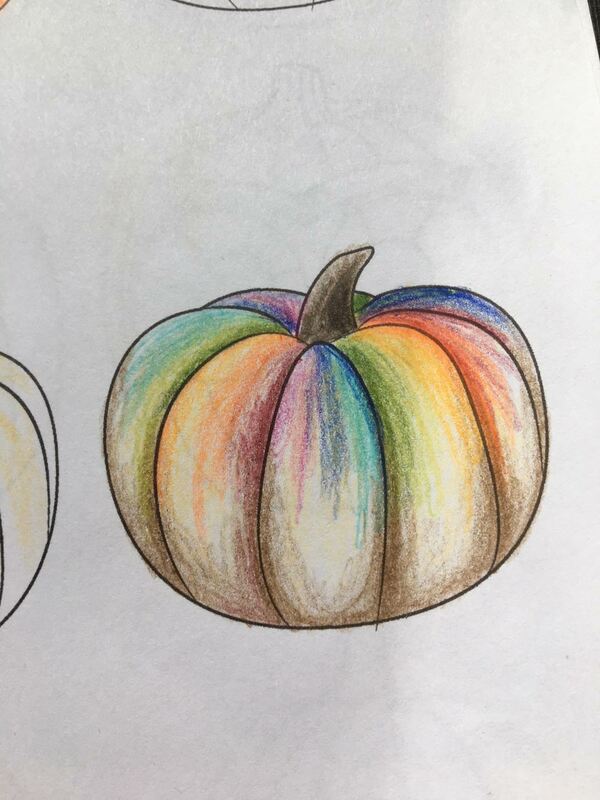 And special thanks to Derrie P. Cinnawitch for coming up with this rainbow pumpkin idea!